This eyeliner in particular has become a firm favourite of mine and it’s my go-to gel eyeliner. It’s one I had heard a lot about and everyone who used it; loved it and recommended it, so I picked it up a few months ago and have been using it since and today I want to share my thoughts on it with you. Eyeliner is something I struggle with so when I found this one easy to use; I was quite surprised and I couldn’t believe that even I found it super easy to create a nice, crisp, thin line with this. I didn’t expect to find it so easy to use. That for me is a big plus. No matter what eyeliner I use I almost always struggle with it, but not with this. It is the easiest and best eyeliner I think I have ever used. And that’s saying something because I have tried a lot of different types of eyeliners over the years and this is by far the easiest and best one I have used. It comes in a small plastic round tub, which I really like. It’s small and compact and takes up next to no room in my makeup drawer. 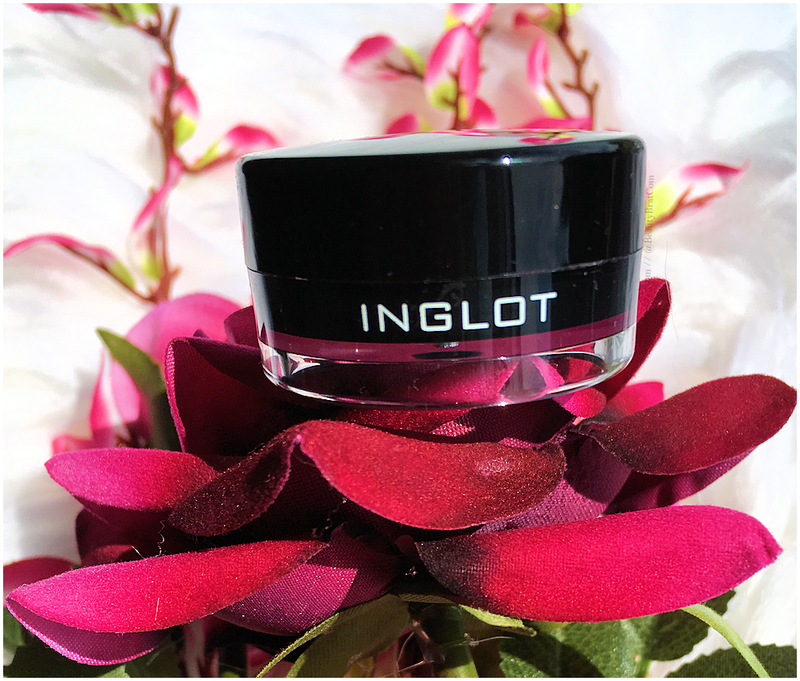 It’s very creamy and easy to use, it is jet black and dries to a matte finish. I don’t think I’ve seen a gel eyeliner that’s quite as black as this. It dries very quickly so you need to work fast, but once it set, it doesn’t move, flake, fade or smudge. It glides across my lids, it takes little to no effort for this to apply nicely and evenly. I have worn this for up to twelve hours and it still looks as good at twelve hours as it did when first applied. A small bit is all you need. A little goes a long way; less is definitely more when it comes to this eyeliner. The only other affordable/drugstore gel eyeliner I’ve used is the Maybelline Lasting Drama Gel Eyeliner, which was only okay. It wasn’t near as good as Inglot’s. Maybelline’s eyeliner is €12 and Inglot’s one is €15, so there is little difference in the price. But there is a big difference in the pigmentation, wear time and overall quality of both liners. This is the only eyeliner that applies easily, evenly and smoothly over glitter eyeshadows. The pigment is just as strong over them. Whereas any other eyeliner I’ve tried just doesn’t apply evenly or smoothly over them and often the pigmentation isn’t great. I can see cracks along the edge of my liner and I can still see the eyeshadow through the liner. This just glides across glitters, whereas other liners tend to drag, which gives that cracked appearance and slight transparency allowing eyeshadow to show through. This works great in my upper and lower waterline too, because again it doesn’t smudge or transfer, and it holds its pigmentation. Even if I use this just to tight-line, it doesn’t transfer to my lower waterline at all so I know I can rely on and trust this not to give me panda eyes. In the below photo you can see that I tried using the Garnier Oil Beauty body scrub to remove the liner, but it didn’t budge. I ended up using my Bobbi Brown Soothing Cleansing Oil to remove it. Oil cleansers are the only thing that work to break down this eyeliner and remove it. Have you tried this eyeliner? What did you think of it? What is your favourite eyeliner to use?